“South-Central Hunter-Gatherers” suggestive of remnant West African Pygmy DNA? 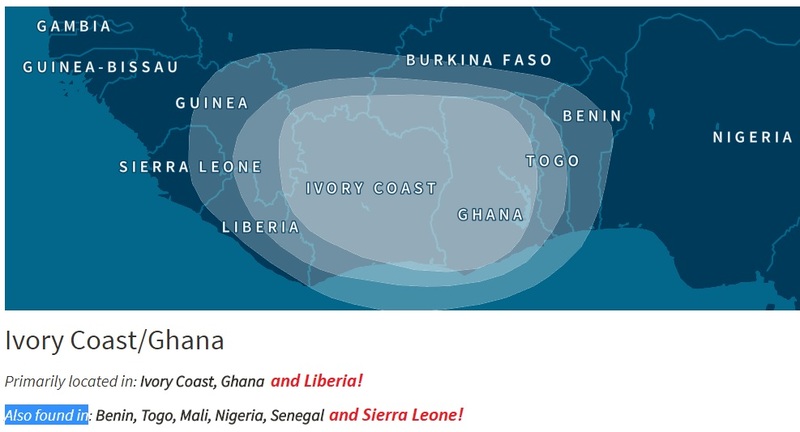 In particular Liberian, Ivorian and Sierra Leonean ancestors might have passed on socalled “Africa South-Central Hunter-Gatherers” DNA markers, which are also present in their own genome. 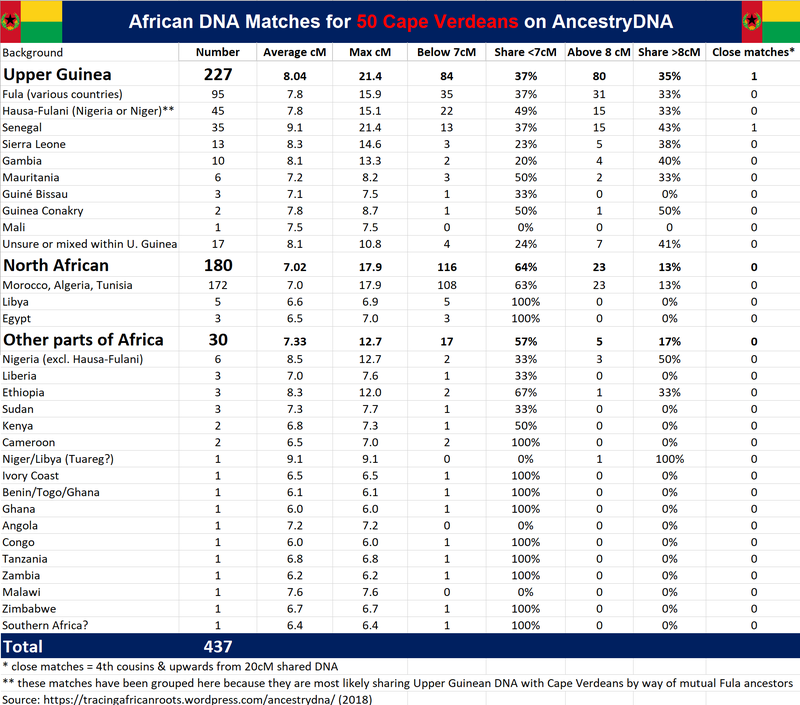 The “Africa South-Central” labeling by AncestryDNA is therefore not to be taken too literally. Despite usually appearing as “low confidence” trace region this still represents a very distinctive type of DNA. As the name already implies this blog is dedicated to Tracing African Roots. However many if not most Afro-descendants actually also have additional non-African ancestry. And for some people this part of their DNA might also be interesting to explore further. 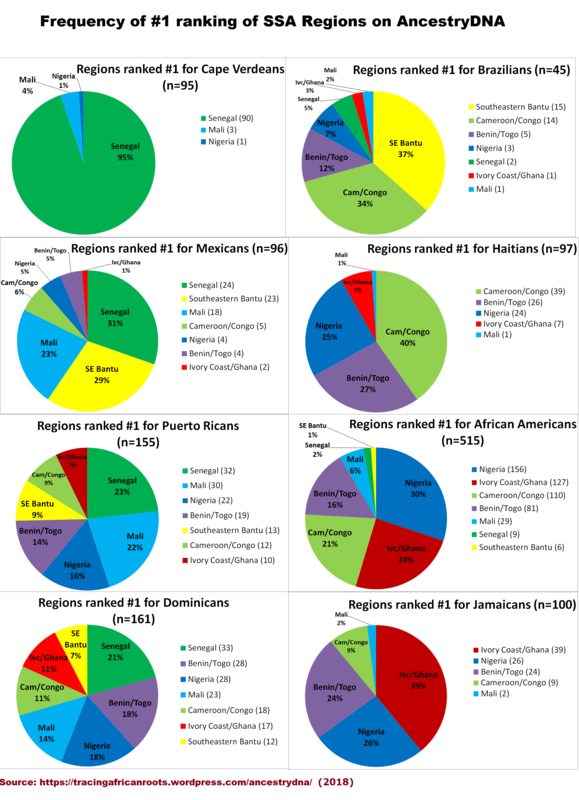 I have therefore started a new survey featuring the AncestryDNA results of persons from all over Asia, the Pacific as well as Native Americans. In order to improve correct interpretation of AncestryDNA’s regions by comparing results with persons from verified backgrounds. 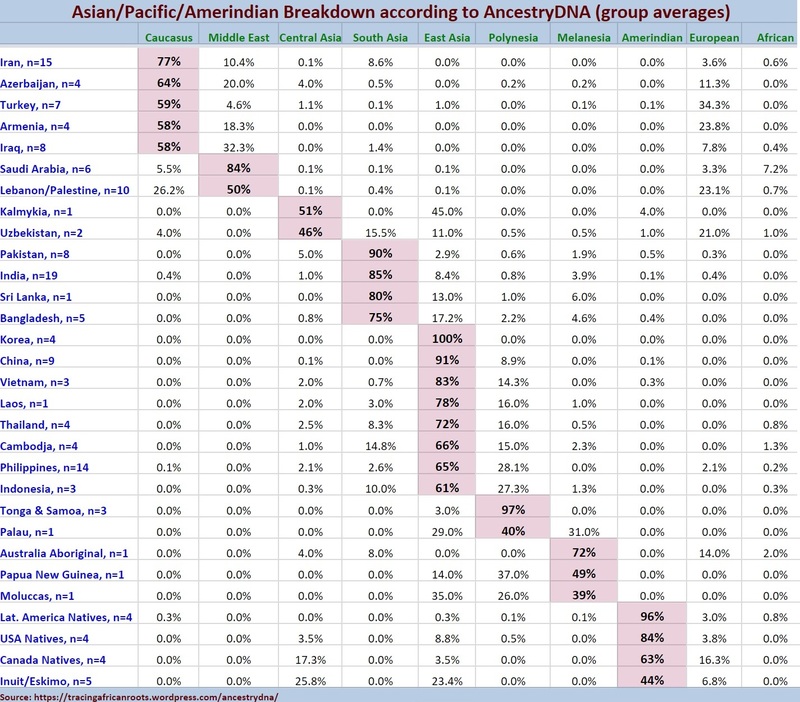 At the very end of this blog post i will attempt to outline some of the most important implications for Afro-Diasporans who have received any Asian, Native American or Pacific regions in their AncestryDNA breakdown. 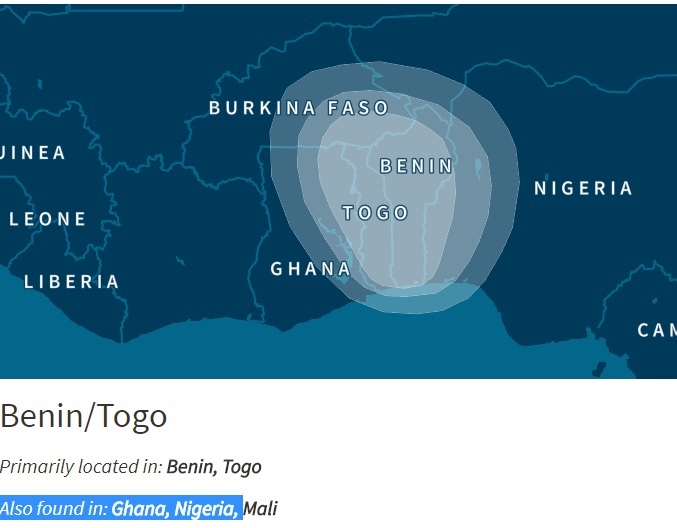 I have created a new page featuring the AncestryDNA results for persons from Central Africa as well as Southern Africa. I will create a new section for West Africa shortly. Despite the minimal number of results i have collected sofar i also provide some statistical data, background information and relevant context. 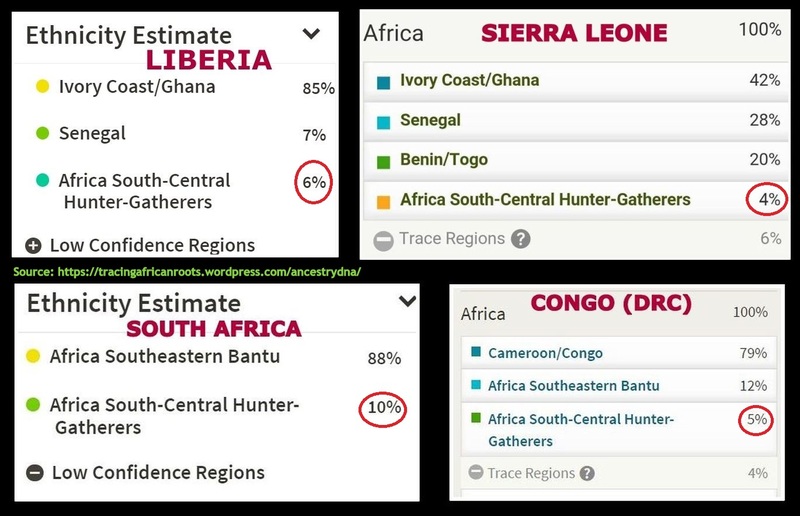 AncestryDNA results from Cameroon & Congo contrasted with AncestryDNA results from across the Diaspora showing maximum scores of socalled “Cameroon/Congo”. In addition i also discuss the implications these results might have for Afro-Diasporans. Generally speaking when it comes to tracing back the main strains of regional African lineage for Afro-Diasporans in the Americas undoubtedly results from the Democratic Republic of Congo as well as Angola will be most relevant, given historical plausibility and cultural retention. Although also Cameroon, Mozambique, Madagascar and directly surrounding countries, such as Zambia, Gabon, Congo Brazzaville and Malawi are not to be overlooked. As a general disclaimer of course in individual cases several ancestral scenarios might apply. And with corroborating evidence a Cameroonian or rather a Bight of Biafra connection might still be demonstrated to be valid for many persons. 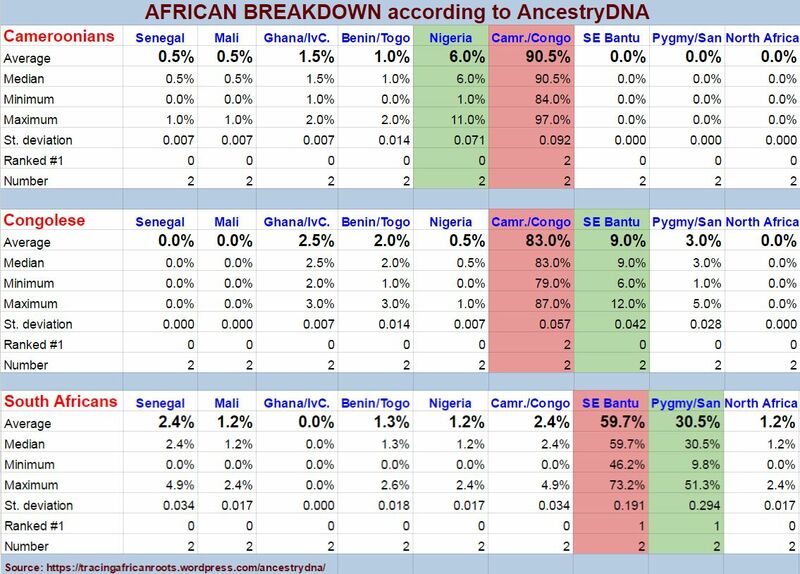 Even when based on the discussion below Congolese & Angolan ancestry seems much more likely on average.